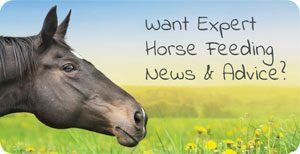 Longer days and warmer temperatures can only mean one thing: Spring is on its way, which brings a welcome relief to horse owners after a cold, wet winter! When turned out 24/7 in the spring your horse’s main forage source will be grass. While grass provides a nutritious source of forage for your horse, the fibre levels in fresh grass are significantly less than the hay your horse will have been used to throughout the winter. Offering hay out in the field even when the grass is growing well can be beneficial to boost fibre levels and provide some variety. This variety will encourage diversity within the hindgut microbial population for optimum health and also satisfy your horse’s natural desire to forage on a variety of fibres. Spring grass provides excellent levels of nutrition for your horse, but the higher levels of WSC (Water Soluble Carbohydrates or ‘sugars’) in fresh grass is not ideal for some horses. 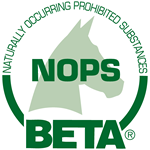 Good-doers, horses and ponies prone to laminitis, or those with Insulin Dysregulation and PPID will need to be carefully monitored and steps taken such as grazing muzzles, or restricted grazing to control intake. Fresh spring grass contains energy levels that are high enough to support even harder levels of work. So, if your grass is good and your horse is turned out 24/7 it likely that energy demands will be easily satisfied or even exceeded by what he grazes every day. Therefore, once your horse is turned out in spring, he shouldn’t need any extra feed for energy. The only thing you might need to consider is vitamin, mineral and protein requirements. Ideally horses should be grazing in fields containing a diverse variety of grass species and plant life to provide a full range of vitamins, minerals, antioxidants and amino acids. However, while the quality and quantity of grass generally increases in spring, UK grazing is commonly much less diverse, often dominated by a single grass species, which can vary in protein quality and doesn’t supply a full range of micronutrients for optimum health and performance. Feeding a nutritious balancer like Smart Balance alongside grazing will ensure all micronutrient needs are met and represents the perfect spring diet to support a variety of work levels and disciplines, from hacking to eventing. As the nutritional value of fresh spring grass is higher than hay, the energy levels it supplies means that energy needs are often exceeded. As a result, this excess energy will be stored as fat, leading to weight gain. Body conditioning scoring (BCS) and weighing your horse regularly with a weigh tape is essential once your horse is turned out full time on spring grass. These will help you to monitor weight and condition and allow adjustments to be made to your horse’s diet, management and exercise as necessary. Ideally your horse should be maintained at an overall score of 5 on a nine-point BCS scale throughout the year. Water is easily the most essential nutrient in your horse’s diet but is frequently overlooked. 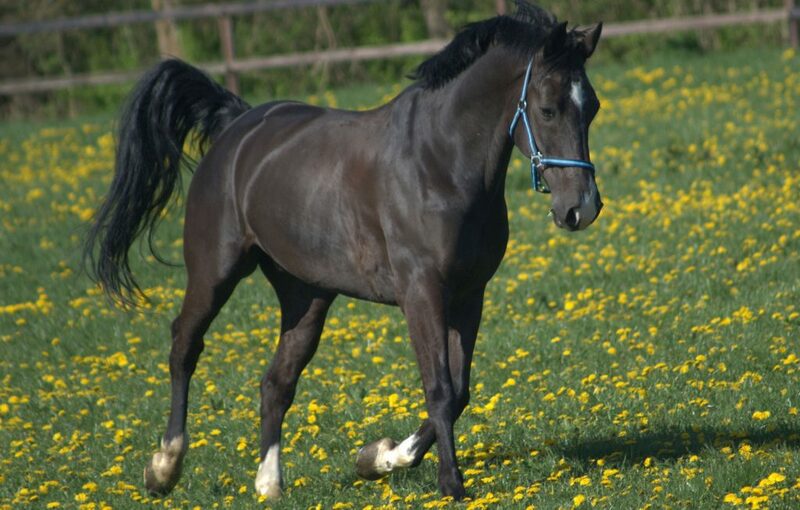 During spring, horses are often exercised more which will increase water loss through sweat. So, it’s still important to ensure your horse has access to fresh, clean water, which is palatable and free from contamination, to replace these losses. Adding 1-2 tablespoons of salt to your horse’s daily feed can help encourage drinking for good hydration. If your horse is away competing regularly and is reluctant to drink less familiar water, taking your own, along with adding tempting flavours like apple juice can help ensure optimum intake. Harder working and competing horses can also benefit from homemade electrolytes for optimum recovery, fluid balance and hydration. Whilst changing from winter to spring can have a significant impact on nutritional needs, providing the right care and dietary management will help keep your horse happy, healthy and performing well through spring and beyond.